In many a light memoir or novel, an American moves to Europe and is transformed. “Champagne Baby” upends that theme - and lots of cultural assumptions. 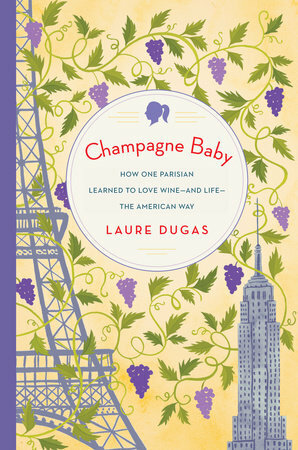 Laure Dugas, who comes from a French winemaking family, moves to New York for what’s supposed to be a six-month job and finds herself surprised and smitten by America -- “Blasphemous!” she says playfully. Despite its bubbly title, her story is mature, thoughtful and well written. It’s half memoir, half a delightful primer on wine aimed at people who know little about it and don’t understand the fuss it inspires. Despite her heritage, Dugas doesn’t know much about it at first, either, but she comes to deeply understand and love wine and wine culture.